Former UFC bantamweight champion Holly Holm was the picture of dominance in her UFC 225 main card featherweight battle with Megan Anderson, showing off a rarely seen but extremely impressive ground game en route to a lopsided unanimous decision win. With this victory, Holm effectively established herself as the number-one contender at both featherweight and bantamweight. 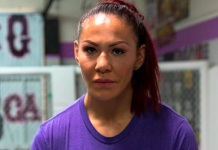 She’s one of the only options available for featherweight champ Cris Cyborg, and one of the few top bantamweights left that bantamweight champ Amanda Nunes has not yet fought. It really seems to come down to which division she’d prefer to fight for the title in first. From the sounds of it, Holm would prefer a shot at the bantamweight title in her next bout. Luckily for her, Nunes seems to be very receptive to the idea. 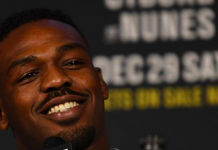 Shortly after Holm’s defeat of Anderson, Nunes took to Twitter to call the former champ. “Let’s do it [Holly Holm]” Nunes said in a short but sweet Tweet. 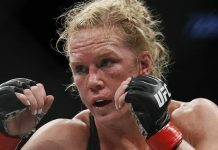 Holm’s returning to the bantamweight division for a title fight with Nunes would seem to deprive Cris Cyborg of the best option for her next title defense. 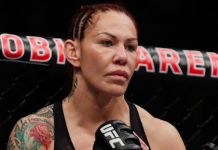 However, Cyborg seems very interested in seeing Nunes and Holm fight — and then battling the winner in a featherweight title superfight. The featherweight champ chimed in on Twitter shortly after Nunes called out Holm. Cyborg last fought in March, authoring a first-round destruction of Yana Kunitskaya. This win was preceded by a competitive decision defeat of Holm. 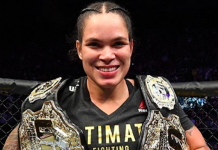 Nunes, meanwhile, last fought in May, in the main event of UFC 224, where she defeated Raquel Pennington by TKO. 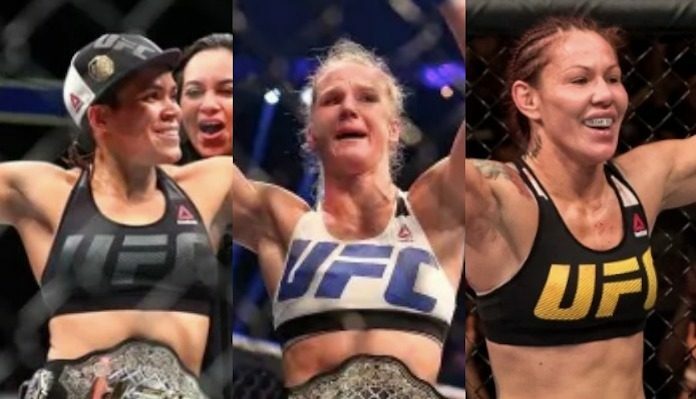 Which of these champions would you prefer to see Holly Holm battle next? This article first appeared on BJPenn.com on 6/10/2018.